When you create your mobile keywords, within the ProTexting account, a QR code is automatically generated for all keywords. Allow clients scan your QR code integrated with each keyword to join your list, vote, receive a mobile coupon or enter a mobile contest. With popularity of QR codes approaching wide spread acceptance, you will easily have access to QR codes to promote your SMS marketing campaign. The way it works is when clients scan your QR code the phone opens the text editor pre-populates the short code and the keyword automatically, and at that time the subscriber must only hit “send” to complete the process. By letting clients scan your QR code you eliminate spelling mistakes on the keyword and short code side. 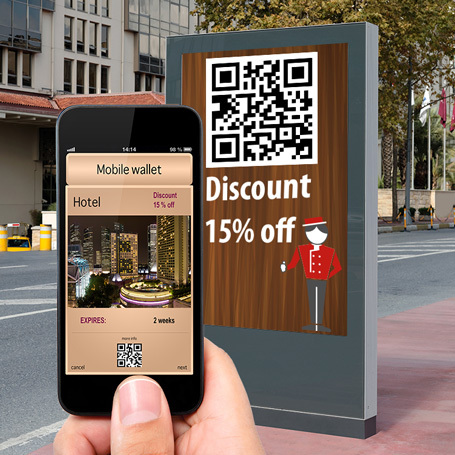 QR codes are an excellent addition to your print or online ads. A popular alternative use is placing a QR code on billboards so subscribers can scan them on the go. Any keyword interaction you create through ProTexting has a specific QR code auto-generated for it. All you have to do is activate the QR code app from the ProTexting marketplace. It is FREE and it will serve an important role in your mobile marketing initiative.